Based on Intel NetBurst microarchitecture, the Pentium 4 processor delivers significant performance gains for use in personal computing, business solutions and all your processing needs. The Intel Pentium 4 processor for business desktop PCs delivers the enhanced productivity, performance and stability demanded by today's business workers and IT managers. Whether it's Web services, security or Microsoft Windows XP; high-performance Pentium 4 processors can enrich the business solutions and applications you're deploying today or tomorrow. Plus, the stability and reliability of the Intel platform can make IT qualification efforts efficient and fast. The Pentium 4 processor is designed to give you superior performance for digital imaging and video, digital music, 3D gaming, and more. In addition, the Pentium 4 processor provides you with enough power to handle innovations on the horizon such as DVD authoring and MPEG4 video. Not to bad for a oldie!! I put this in an old Dell laptop. 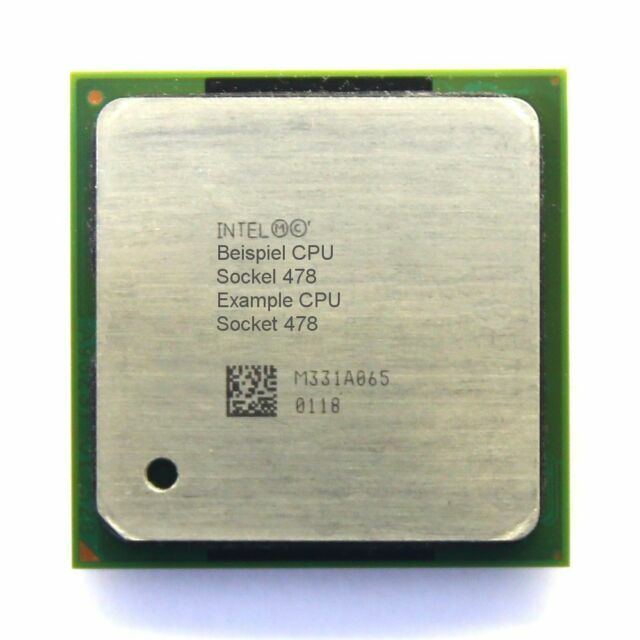 This is the fastest CPU that has a FSB clock rate that the Inspiron 1100 can handle. Just make sure you use a good thermal compound like Artic Silver. Really brought the old beast back to life ! !